Cowan Investigations provides professional subpoena service in Ocean & Monmouth Counties. At Cowan Investigations we understand the fact that very often your law firms first contact with a potential witness will be with a process server, stated another way for all intents and purposes the process server is representing your law firm. With this in mind Cowan Investigation assures you process servers assigned by us will be professionally attired as well as being trained in providing conflict free subpoena service. Aside from the background information you provide regarding the person to be served, Cowan Investigations will also conduct a background investigation in order to assure that all due diligence is utilized in effecting proper service of your subpoena. 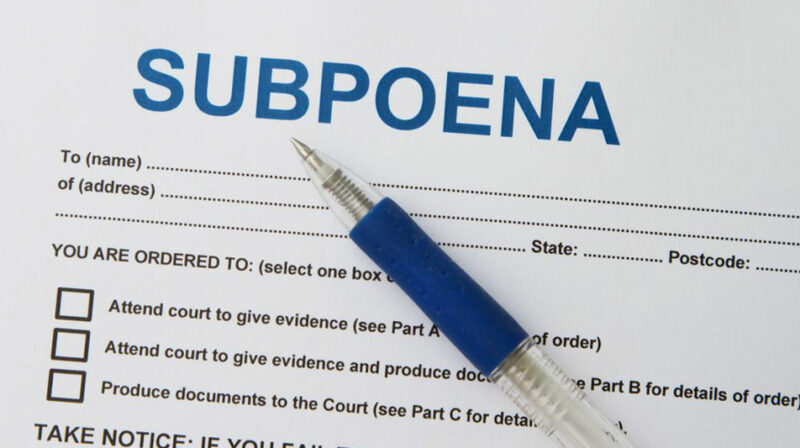 Whether your Law Firm needs to serve a subpoena to a large corporation, small business, public entity, public official or an individual, Cowan Investigations can help you serve or deliver your subpoenas fast and effectively. Get started with a subpoena service you can trust. Contact Cowan Investigations.